The colliding of his Congolese and Swedish worlds not only shapes him, but it defines him, as the stand out universal artist he is. Crossing boundaries and borders, his colorful past, already massively successful music career and inspiring ‘glass half full’ mindset, choosing creativity and positivity over comfort and mediocrity, filters through his every fiber as singer, songwriter, dancer, now label entrepreneur and family man. Still only in his late twenties, this layered R&B/pop star of substance, still has much more to do and show the world. The recipe of his varied gifts, topped with undeniable intelligence and charm, makes him incredibly interesting, tenacious and rare in the current transient climate of the pop world. Fully understanding and appreciating the man and the artist means digging back into Mohombi’s past. Son of an African-king-come-politician and Swedish mother, Mohombi Nazi Moupondo was raised in the Congo with his 14 siblings. In 1998, many officials and their family homes were under repeated military attack and gunfire during wartime. The Moupondo family was not immune. Being children of a Swedish expatriate mother, Mohombi and his older brother, Djo, were given priority as foreigners for a chance to survive. Escaping in the middle of the night (after a failed attempt to leave the night before by boat), they were finally evacuated by plane, thanks to the UN organized, Belgium army. Given their plane was literally the last to leave before the airport was shut down, the two Moupondo brothers considered themselves part of the lucky few to have the chance to survive. Having to leave their parents, family and beloved country behind, they slept at the military camp, nervously anticipating their departure while thousands of foreigners were also waiting to be dispatched to their countries. Unlike previous summer holidays to Sweden, this trip would be a life-changing one. Mohombi, merely 11 years old, was quickly thrust into independence and the need to fend for himself long before any of his peers. Like disappearing and appearing into a parallel world, Sweden would comparatively symbolize a place of revolution and freedom, and represented what he himself calls a ‘privilege’. This positive reframe underpins Mohombi’s existence, and his conscious choice to create feel-good, honest music is the ammunition to turn his adversities into positive story telling. He not only survived, but is determined to thrive. Mohombi honed his performance and songwriting talents in Sweden. After studying at Rytmus Music High School in Stockholm and obtaining his bachelor’s degree in music and song from Stockholm’s Music Conservatory, he and brother Djo set on yet another adventure and created ‘Avalon’. The outfit combined their great love of hip-hop, dance hall and African beats. By 2008, Avalon had cemented its mark by not only selling over half a million records but also winning at the All African Kora Awards (African equivalent to a Grammy) for “Best Group-Diaspora Europe/Caribbean Category”. However, with music only being a part-time job, Mohombi knew it was time to leave his world behind once more. Under much less dangerous circumstances as his childhood escape, but once again risking it all, he set out to find the right person, and right place, to further his quest for success. That place would be a dreamer’s world of L.A, and that person, would be fellow semi-Swede, and heavyweight producer, RedOne (Lady Gaga, Usher, Jlo). What ensued was an unprecedented level of success for Mohombi. 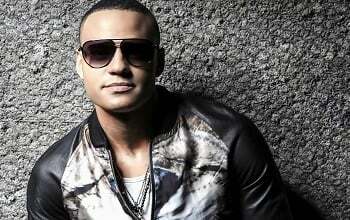 The first signing to RedOne’s label 2101 records in 2010, Mohombi unleashed ‘Bumpy Ride’, smashing airwaves and charts around the globe, and then a succession of hits and star collaborations including “Miss Me” featuring Nelly (UK debut), “Dirty Situation” featuring Akon, all from his debut album ‘MoveMeant’. In 2011, he featured with yet another huge star, Nicole Scherzinger, with the feel-good “Coconut Tree” and released “Suave (Kiss Me)” with chart-buster Pitbull and Nayer. Never resting on his laurels, Mohombi’s next big venture and new world? Taking on the business of self-determination and autonomy. Outside his never ending drive and popular demand to continue touring the world, he has joined forces with a carefully hand picked, formidable team, and created ‘La Clique Music’ – a fast growing, successful record label/publishing/event management company. Mohombi now fulfills another dream to “transmit his experiences and knowledge to the next generation”, including his most recent signing of artist Didrick – a wildly talented 19 year old, multi-instrumentalist, producer/DJ, already creating an invigorating assault on Scandinavian dance charts. “The future belongs to the guy who has something to say about his tomorrow”. Mohombi has indeed much to say about his tomorrow, with the exciting, impending release of his new single, “Movin”. Driven by infectious tribal beats and laced with illustrious vocals, this is the next installment from a broader, more mature perspective, influenced by his colorful years on this planet. “Movin”, lifted from his upcoming studio album, “UNIVERSE” (orbiting by end of summer, 2014), this multi-lingual (Swedish, French, English, Swahili, Lingala), European/African performer and songwriter, is evidently multi-dimensional and a citizen of the world. Inside that world, Mohombi’s most irreplaceable and most precious ‘hit’ to date – 10 month old son, Ayan.